Sony’s Personal 3D Viewer is definitely a niche product. We can’t see many units selling -- it’s not a very sociable product, it can be uncomfortable and it really only appeals to 3D fans -- but if you can get it set up correctly it’s able to produce a good picture with excellent 3D depth. 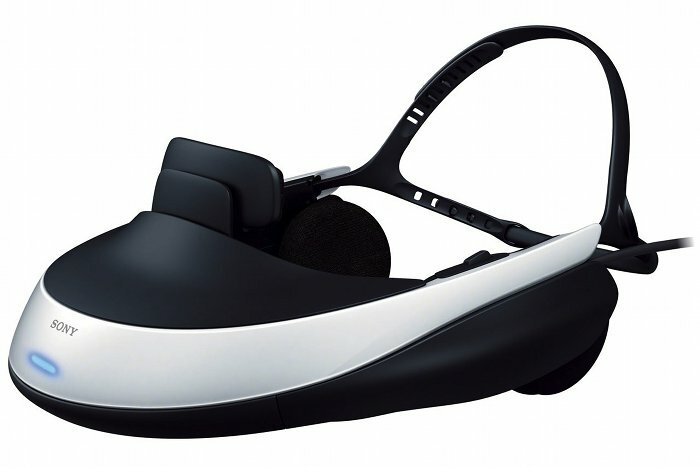 The Sony Personal 3D Viewer (HMZ-T1) is a head-mounted display that uses a 720p OLED screen in front of each eye, creating a crosstalk-free 3D effect. It’s somewhat difficult to set up correctly and can be uncomfortable. If you get it right, though, it can display bright and contrasty images which have excellent 3D. We have to get this out of the way early. The first thing we thought of when we saw the Sony Personal 3D Viewer was Nintendo’s unloved and unlovely Virtual Boy. The Personal 3D Viewer, or HMZ-T1, is a wearable headset which combines two 1.8-centimetre OLED screens with a set of stereo headphones. There are two elements to the HMZ-T1 Personal 3D Viewer: the head-mounted display itself, and a control box which has a single HDMI input. This box connects to your Blu-ray player, games console or PC and receives the 3D (or 2D) signal, decodes and delivers it to the headset through a 3.5 metre long cable. This long cable gives any wearer plenty of room to move, although if you’ve got a long or large living space with the video source at one end you might reach its limits. There is a wide range of adjustment built into the Sony Personal 3D Viewer headset. You can move the headphones back and forwards and up and down, you can choose the most comfortable nose-piece, you can add or remove ‘light blockers’ that sit against your cheeks, and most importantly you can adjust the positioning of the OLED displays for the best possible convergence. Several cushions and accessories are included. 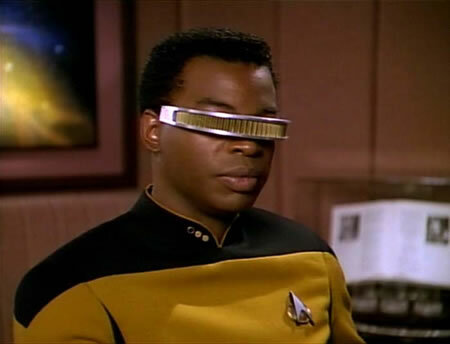 When you strap it on (looking like Geordi La Forge in Star Trek), the Personal 3D Viewer displays whatever 3D game or movie you’re watching in stereoscopic 3D. Since you’re looking at two screens instead of one, as you would be with a 3D TV or movie screen, the 3D effect is entirely created by your eyes: theoretically no cross-talk, blurriness or flickering between video frames. Joining the two sliders that adjust these OLED screens on the bottom of the headset are three buttons for power, volume and menu navigation. You can only connect the HMZ-T1 to a single HDMI input, but four image presets with a small range of image quality tweaks are available in the menu. The Personal 3D Viewer uses a telescoping headband that sits around the back and top of the wearer’s head. To get the headset to sit securely, it has to be quite tight, which does lead to a definite case of ‘hat hair’ after a few minutes. There’s enough adjustment to suit a wide range of head sizes, although we think the HMZ-T1 would be difficult to get comfortable on a small child or anyone with a particularly large head. After around half an hour of each viewing session with the Personal 3D Viewer, we did find it uncomfortable. It presses on the wearer’s forehead and can be quite tight around the ears, so we’d definitely recommend potential buyers try it on for as long a time as possible. It’s also reasonably heavy at 420 grams. Wearing the Personal 3D Viewer for an entire movie, if it’s set up incorrectly, could be a rather uncomfortable experience.